Learning your ABC 's. Alphabet : Fill in the blank with your ABC's. 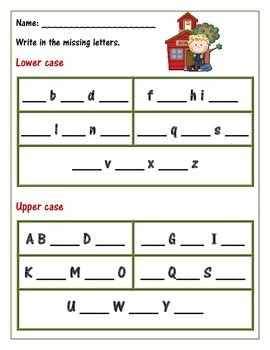 Alphabet: Fill in the blank with your ABC's. 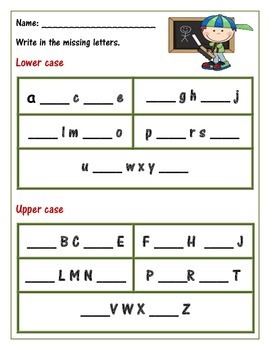 With this tool, you can assess your student's knowledge of the ABC 's with both lower case and upper case letters. 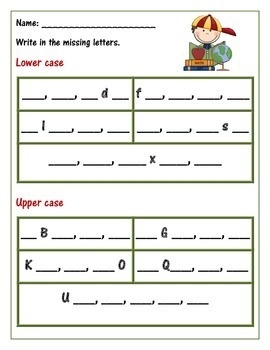 There are 4 differentiated pages to this resource. 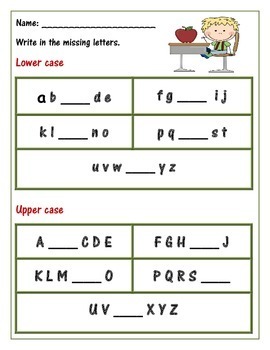 This is ideal for homework, classwork, extra support and learning centers.